The killing of the mice. The farmers are killing the owls and don't even know it. Killing mice is killing the owls. Farmers are using pesticides to kill mice and that is leading to the owls not being able to eat. 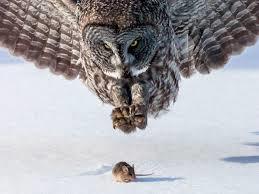 Owls eat mice and if they're dying off owls will not have anything to eat. Soon, after the mice die and the owls do not have anything to eat and their pellets are not filled with mice they will start to die off. They cannot survive without the mice to eat. 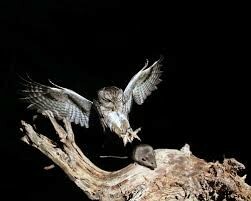 This shows an owl swooping in and trying to eat the mouse. 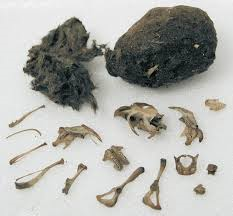 This shows an owl pellet with several mice inside it. This picture also shows a mouse swooping in and trying to kill and eat the mouse on the tree.